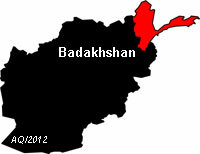 FAIZABAD, Afghanistan, June 3 (Xinhua) — A total of 12 armed insurgents have been killed and 14 others wounded in military operations in northern Afghanistan’s Badakhshan province over the past 24 hours, Mohammad Hanif Rezai, spokesman for the army’s 209 Shaheen Corps in northern region said Sunday. Afghan army units, according to the official, launched cleanup operations in Kohistan district of Badakhshan province on Saturday. There were no casualties on security personnel in the ongoing operations, the official said, adding that the crackdown would last until the militants are wiped out from the area.